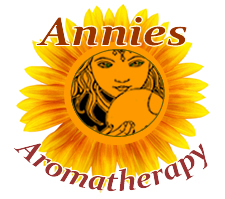 Preparation Methods & Dosage :Used to hold scent (fixative) in sachets, body powders and homemade cosmetics. Orris root was historically taken internally as a powder, infusion or tincture, but its main use in modern times is purely cosmetic. 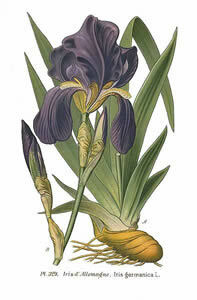 The iris is a large genus of plants containing over 260 species of flowering plantsknown for their beautiful , showy blooms. 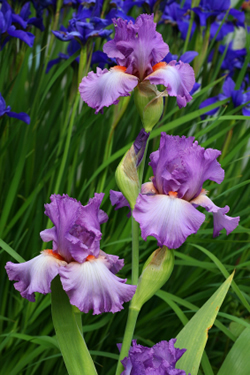 The iris is widely distributed throughout the north temperate zone, adaping to many different growing conditions and is a very popular garden flower in North America.